Two new kits released today. 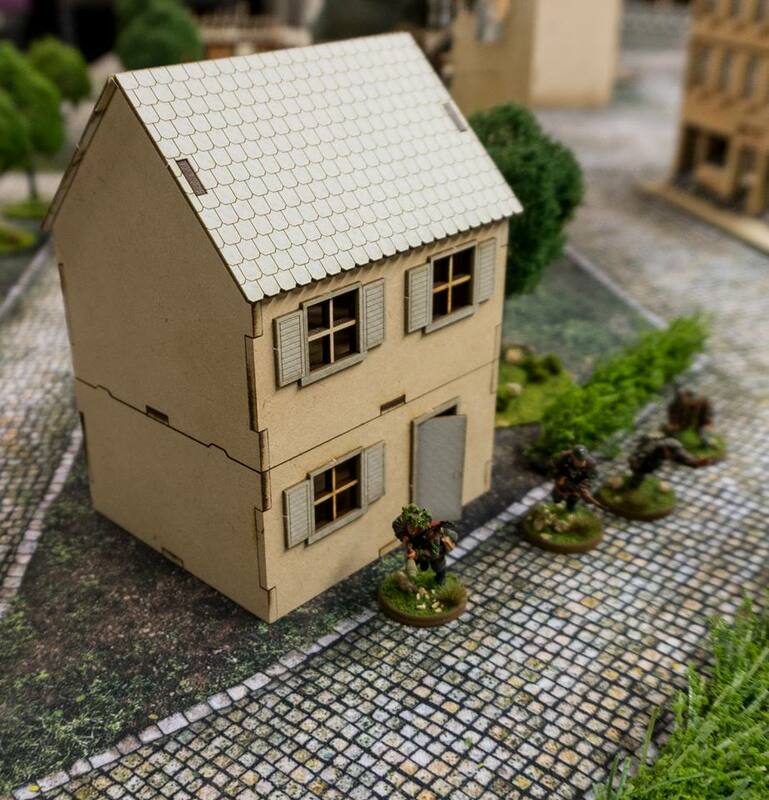 These are very generic small houses that should fit many different areas and periods of time. 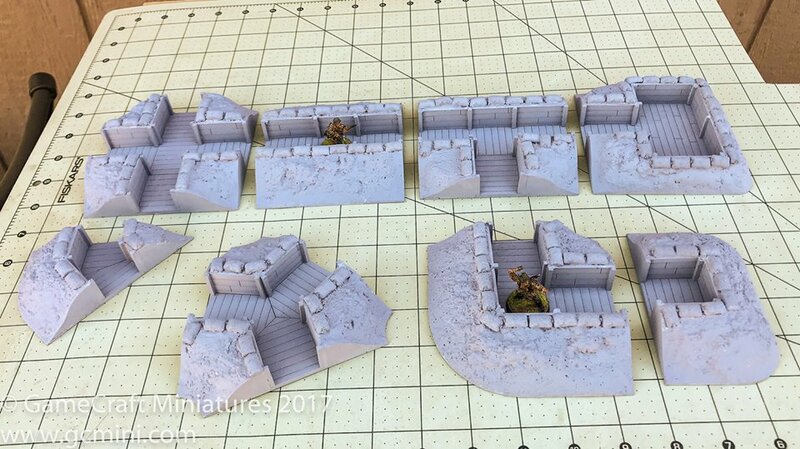 Models feature removable roofs and removable upper floor on the two story house. Our model maker Allen had these sitting outside the shop drying and I snapped a few celphone pictures of them. 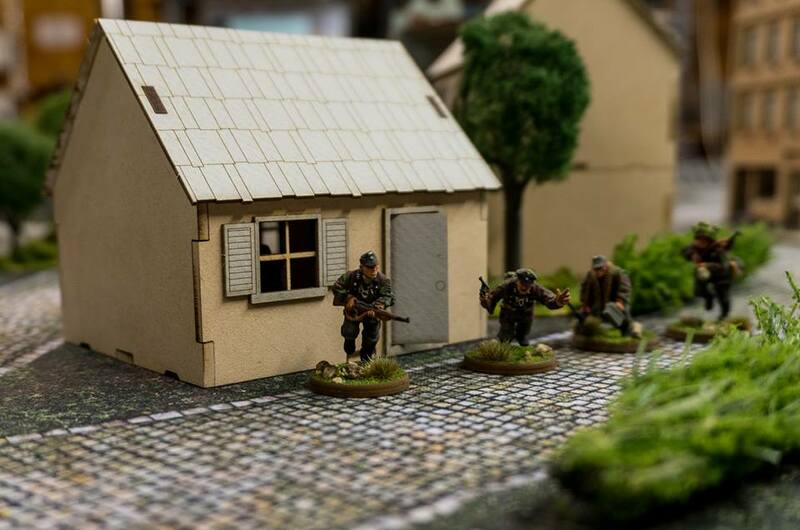 These are masters for our new 28mm (1/56th) modular trench system that is specially designed to accommodate figures that are on 1" (25mm) bases. 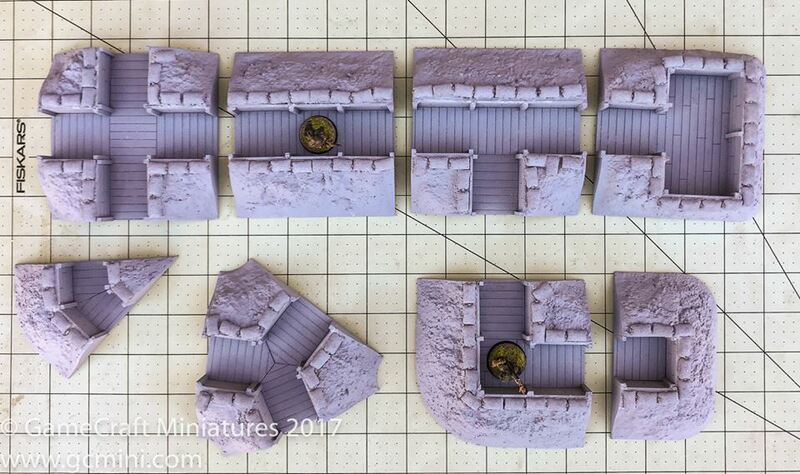 I think these would work great for 20mm minis also if they are on 1" bases. Allen says he will be making the molds for these in the next few days and they should be available next week. Hope you enjoy these. Your shop spy, Haden. 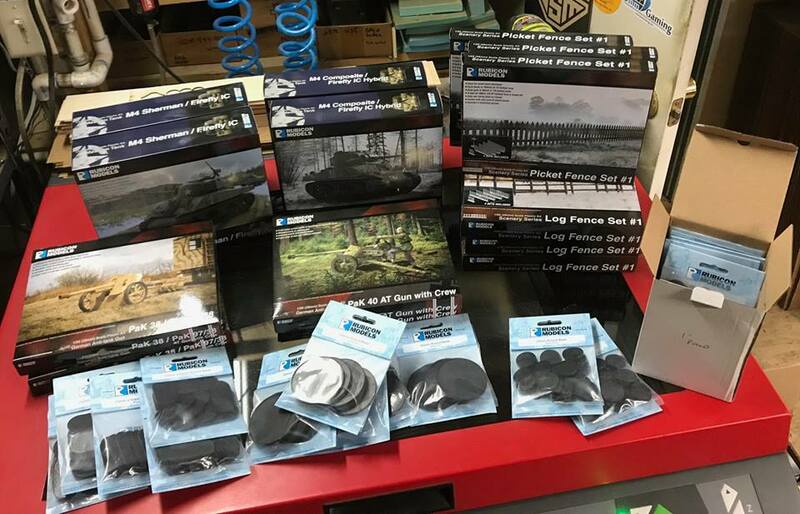 When you check out, please use the coupon code AFTERXMAS to receive the discount. Discount will be applied to items selected from the above categories. 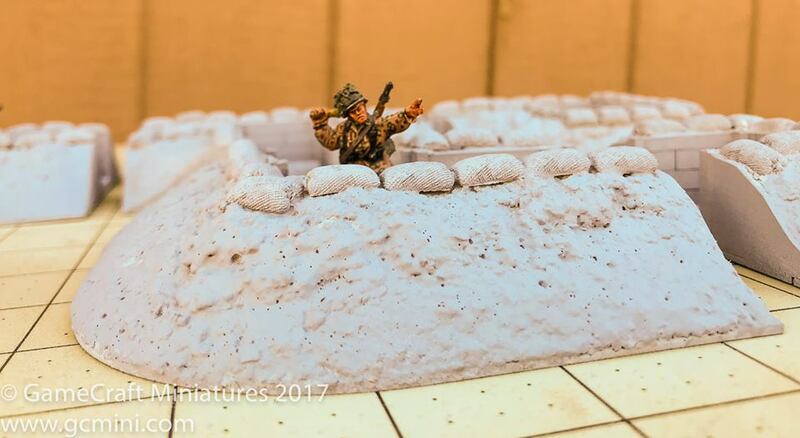 GCminis have released a new variation of their 26mm Vallejo and Army Painter Paint Rack. This new version allows you to store your paints upside down if you like, making it easy to see the color of the paint through the bottom of the bottles. 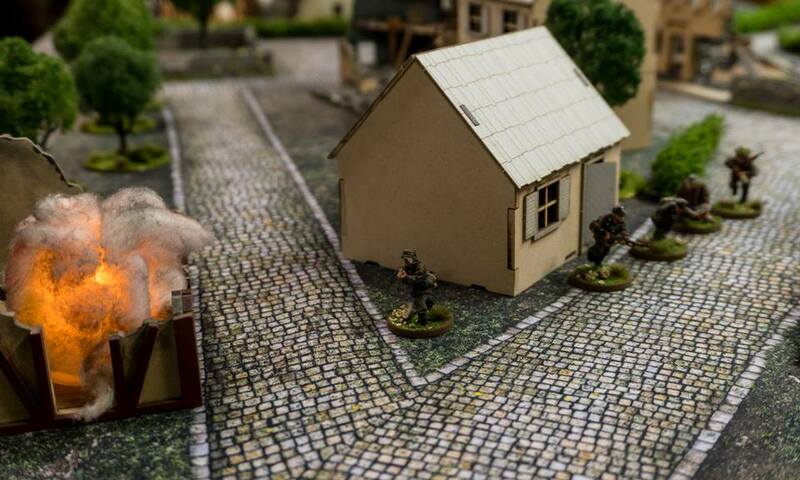 This rack is based on their existing 26mm Paint Rack but with a twist, the top four tiers are designed to allow you place you Vallejo and Army Painter dropper bottles in the rack upside down so you can see the bottoms of the bottles and see the paint color. This could not be done on the lowest tier as there is no place for the tops of the bottles to go below the level of the paint rack unless you wanted to drill several holes in your workbench 🙂 , therefore the paint bottles on the lowest tier must be inserted right way up. 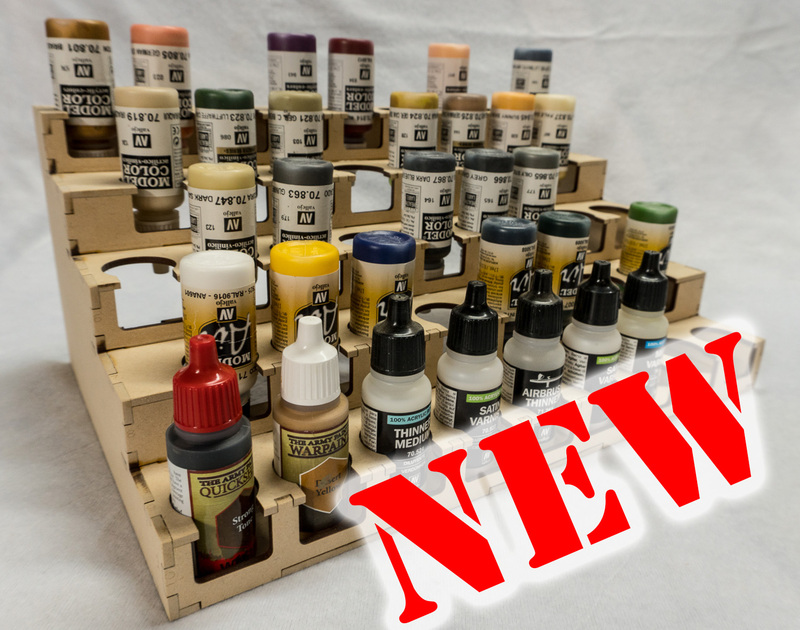 Paint rack holds 43 of the Vallejo and Army Painter style 26mm diameter dropper bottles. Rows are staggered so that every bottle is visible at all times.